The National Bank of Ukraine (NBU) reported the successful switch of banks in Ukraine to IFRS9 and pointed out the absence of a need in additional capitalization of financial institutions. "Banks have switched to IFRS9. We believe that the transfer was rather successful. 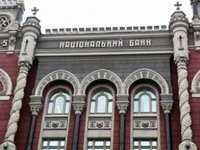 Some banks would complete the transfer by the end of the second quarter," Director of the NBU financial stability department Vitaliy Vavryschuk said. Deputy NBU Governor Kateryna Rozhkova said that until now Oschadbank (Kyiv) has not switched to the new standard. Shareholders said that the state-owned bank would do this in the earlier approved terms (before June 30). "We understand that this is a time consuming thing, and it is more complicated for large banks to do this," Rozhkova said. According to Vavryschuk, the negative impact on equity from the transition to the ninth IFRS standard was about UAH 10 billion. At the same time, this influence is almost entirely offset by the current profits of the banking sector. In turn, the influence on regulatory capital is almost imperceptible, he said. "To calculate the regulatory capital, banks used credit risk and formed the so-called 'prudential reserves.' The transition to the ninth standard almost did not entail a decline in the regulatory capital of the banking sector. The banking sector in general remains sufficiently capitalized," Vavryschuk said. Rozhkova said that there is no significant influence during the transition to IFRS9 on the regulatory capital of Oschadbank. "Even if there is any insignificant increase in reserves, we do not expect that it will be such that there will be a need for capitalization. 17% [the level of adequacy of Oschadbank's capital] is a significant reserve. So today we do not see the risks of additional injections into the capital of the state-owned bank," she said.